You guessed it right, it’s another one of those types of casual games. But unlike the usual uber-casual game, Gameblyr’s Into The Circle is only available for the iPhone and iPad as of the moment. According to the developer, it’s easy to understand and play Into The Circle, but takes just the right aim and amount of force to master. 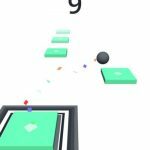 It’s a physics-based casual game supposedly inspired by curling, and what you simply need to do here is shoot the ball in the right direction with the right amount of force. As is the case with these games, Gameblyr says that this title is simple to play but challenging to master. 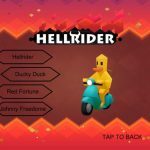 It’s true – you may have heard it all before, but if you want to top your highest score, we do have some useful Into The Circle cheats, tips and tricks you might want to check out. You don’t have any time limit when aiming the ball, and this isn’t your typical “endless runner” title either. What we’re trying to say here is that Into The Circle will be more than happy to let you take your time. If you rush your shot, that could result in you losing the stage sooner than expected. When aiming your ball, try to shoot it into the small circle inside the larger one. You’ll get yourself a bonus if the ball makes it at least halfway into that circle, and the bonus will increase by a point for each time you pull this off in the same stage. This is a great way to keep improving your score in Into The Circle. Simply head to the in-app purchase menu and watch an advertisement video. That way, you don’t need to spend any of your hard-earned money on stars, which are the things you’ll want to use if you want to restart a stage after losing it. There’s no sense using your stars to restart a stage if your score in that stage is negligible. The only time you should spend your stars is if you were doing really well in a stage prior to your losing it. If you use stars each time you want to continue a stage, no matter how low your score is, you’ll end up with no stars in no time, and that’s not something you want to happen. 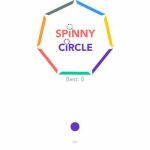 It’s probably one of the oldest tricks in the book, if not the oldest, but if you want a distraction-free gaming experience and thereby a higher score, you can switch your phone to airplane mode or turn off your Wi-Fi to play without ads. 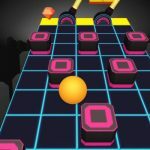 Still, we encourage you to play WITH Wi-Fi or cellular on from time to time – it’s the least you can do to help the game’s developer earn from the title.